Perennial ice covers on many Antarctic lakes have resulted in high lake inorganic carbon contents. The objective of this paper was to evaluate and compare the brine and CO2 chemistries of Lake Vida (Victoria Valley) and West Lake Bonney (Taylor Valley), two lakes of the McMurdo Dry Valleys (East Antarctica), and their potential consequences during global warming. 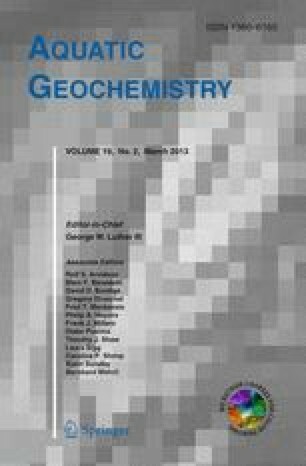 An existing geochemical model (FREZCHEM-15) was used to convert measured molarity into molality needed for the FREZCHEM model, and this model added a new algorithm that converts measured DIC into carbonate alkalinity needed for the FREZCHEM model. While quite extensive geochemical information exists for ice-covered Taylor Valley lakes, such as West Lake Bonney, only limited information exists for the recently sampled brine of >25 m ice-thick Lake Vida. Lake Vida brine had a model-calculated pCO2 = 0.60 bars at the field pH (6.20); West Lake Bonney had a model-calculated pCO2 = 5.23 bars at the field pH (5.46). Despite the high degree of atmospheric CO2 supersaturation in West Lake Bonney, it remains significantly undersaturated with the gas hydrate, CO2·6H2O, unless these gas hydrates are deep in the sediment layer or are metastable having formed under colder temperatures or greater pressures. Because of lower temperatures, Lake Vida could start forming CO2·6H2O at lower pCO2 values than West Lake Bonney; but both lakes are significantly undersaturated with the gas hydrate, CO2·6H2O. For both lakes, simulation of global warming from current subzero temperatures (−13.4 °C in Lake Vida and −4.7 °C in West Lake Bonney) to 10 °C has shown that a major loss of solution-phase carbon as CO2 gases and carbonate minerals occurred when the temperatures rose above 0 °C and perennial ice covers would disappear. How important these Antarctic CO2 sources will be for future global warming remains to be seen. But a recent paper has shown that methane increased in atmospheric concentration due to deglaciation about 10,000 years ago. So, CO2 release from ice lakes might contribute to atmospheric gases in the future. We thank J. Kyne and B. Bergeron of Ice Coring and Drilling Services (ICDS), S. Sherif and M. Badescu of NASA, N. Bramall of UCB, and P. Glenday for field assistance. We thank C. Davis (DRI), M. Dieser (UM), and J.R. Henricksen (UGA) for laboratory assistance. R. Edwards, M. Potosnak, and C.S. Riesenfeld of DRI provided geochemical and programming skills. We thank Lisa Wable for developing Fig. 1. This research was supported by NASA-ASTEP NAG5-12889, and logistical support was provided by the National Science Foundation’s Office of Polar Programs through a cooperative agreement with NASA.